Founder and executive director of EcoValores studied economics at the Autonomous Institute of Technology of Mexico (ITAM). She holds a master’s degree in Public Policy from ITAM and another master’s in environmental economics from the London School of Economics and Political Science. She was an environmental economics professor at ITAM, where she also consulted on various environmental services diploma courses. She worked at the Ministry of Environment and Natural Resources in the area of environmental economics, finance and policy design. Luisa ha ten years of previous experience in the financial and research sectors. Prior to founding Ecovalores Luisa was also a co-Founder and director of Ecobanca a nonprofit organisation, which aims to provide a link between start-up projects and venture capitalists where the first green funds were launched. Chemical Engeneer with an MBA from ITAM and certified in Project Management by Stanford University she has more than 15 years of experience in energy infrastructure projects development. She has participated in the economic and financial development of many electrical power plants and has a thorough understanding of the electrical legislation and its changes approved in 2014. She has an ample experience in the new business scenario of the electric markets. Is an associated consultant in Ecovalores, he has worked with diverse companies in CSR, stakeholder engagement, social consensus, and observatory. He worked as an administrator director in the Social Security Institute of the State of Guanajuato until 2011, and as Finance Director of the University of Guanajuato. He has more than 12 years of experience in consulting; focusing in systems optimization and processes for the social vision. He is a public accountant by the Universidad de Guanajuato and holds an MBA by the Instituto Tecnológico Autónomo de México (ITAM). Denise specialises in responsible investment and sustainable finance . 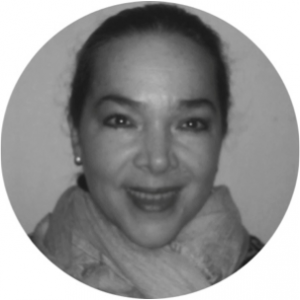 She has worked in the private sector in Spain, Chile and Mexico in the finance sector. She holds the National Research Price from IMEF E&Y, she is an active member of the Ethics and Social Responsibility Committee, she has published several articles on responsible investment for specialised media. Denisse is quick to offer strategic solutions on ESG monetary value.